Tickets are $7 per adult and children 12 and under are always free! We are open for the season April - November. Tours leave on the hour. We welcome all groups to the Carson House. Groups larger than ten people, please book in advance. Please take a look at the calendar below to see if the date you would like to book your visit is free or you can call us at (828) 724-4948 to book your visit, April through November. You may also email us at info@historiccarsonhouse.com. If you would like to book a visit during the off-season, please use our email address only. 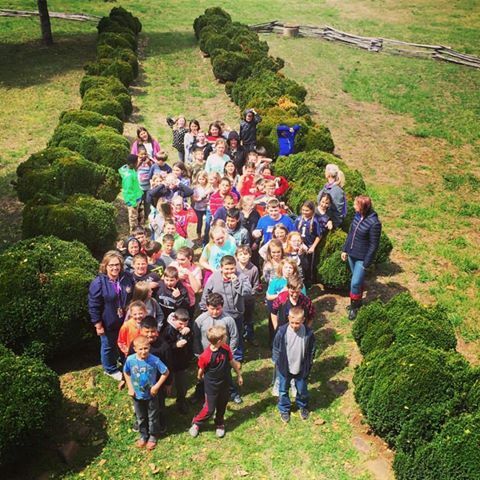 For information about the services that we offer to school groups, please call us at (828) 724-4948 or email us at info@historiccarsonhouse.com and we will be very happy to accommodate you. If you wish to schedule a visit during the off-season, please email us as we do not regularly check voicemails from December through March. We are located close to Tom Johnson's Camping World along US-70W, just outside of Marion, NC. For GPS, please simply type in Tom Johnson's Camping World for the most accurate location.